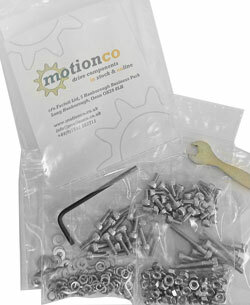 Kits of Metric fixings in M3, M4 and M5 including: Cap Head Screws, Nuts, Washers and Spring Washers. Also included are the corresponding Allen Keys and Spanners. We also offer a comprehensive M5 fixings kit, including spacers and tools, as part of the Meckit construction system. It is available here. 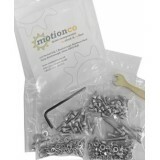 Fixings Kit M3 screws, nuts and washers. .. Fixings Kit M4 screws, nuts and washers. .. Fixings Kit M5 screws, nuts and washers. M5 Kit Description Qty ..